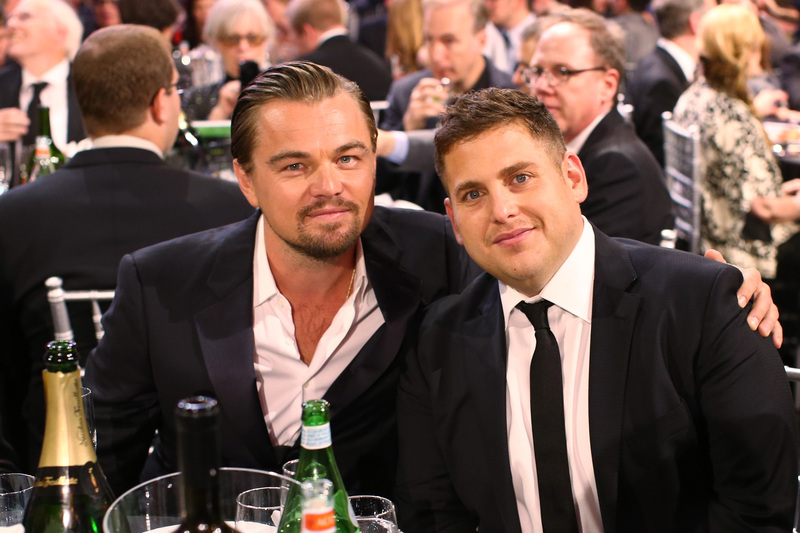 They're at it again — Leonardo DiCaprio and Jonah Hill will be starring in another film together. Deadline announced earlier today that FOX has acquired the rights to the Marie Brenner's 1997 Vanity Fair piece "The Ballad of Richard Jewell" and will be developing it into a feature film that will star Hill in the title role and his Wolf of Wall Street costar alongside him. It's probably safe to assume that Jonah Hill will pick up a little more than a $60,000 paycheck for this one. DiCaprio, Hill, and their first collaboration, The Wolf of Wall Street, are in the running for some of the biggest Academy Awards honors — so naturally, they plan on riding their wave of success into another film based on a true story. "Ballad" is the tale of the rise and fall of security guard Richard Jewell during the 1996 Olympics in Atlanta, GA. Jewell was first recognized as a hero for reporting a suspicious backpack at the Olympic compound and helping to evacuate bystanders before it exploded. Three days later, he was named a suspect in the bombing and had his life torn apart by the 24-hour news cycle. DiCaprio's set to play a Southern attorney that Jewell knew casually and helped guide him through his traumatic experience even after the FBI cleared his name. So, just how are these two trying to be the next Jennifer Lawrence and Bradley Cooper? In case you'd forgotten, last year Lawrence/Cooper collaborated for the first time in David O'Russell's Silver Linings Playbook. The film earned a Best Picture nomination at the Academy Awards and Cooper received his first nomination (for Best Actor) and Lawrence her second (for Best Actress) and first win. This year their second collaboration American Hustle, which was also directed by O'Russell, raked in nominations for Best Picture, and Best Supporting Actor nods for both Lawrence and Cooper. Boom. Their decision to collaborate on "The Ballad of Richard Jewell" definitely has something to do with the success they've had this awards season with Wolf. (Or the success Lawrence/Cooper have seen under O'Russell.) If it isn't broken, don't fix it, right? Hill and DiCaprio may have found their perfect onscreen match and they're going to take it straight to their next film. Now we'll just anxiously wait for Martin Scorsese's announcement that he'll be directing the film and we've got Hollywood's new trifecta. Team O'Russell should definitely start watching their backs.